Why is there such disparity between the calories in a banana and the calories in this pack of dried banana? I get the result of 89 per 100g. 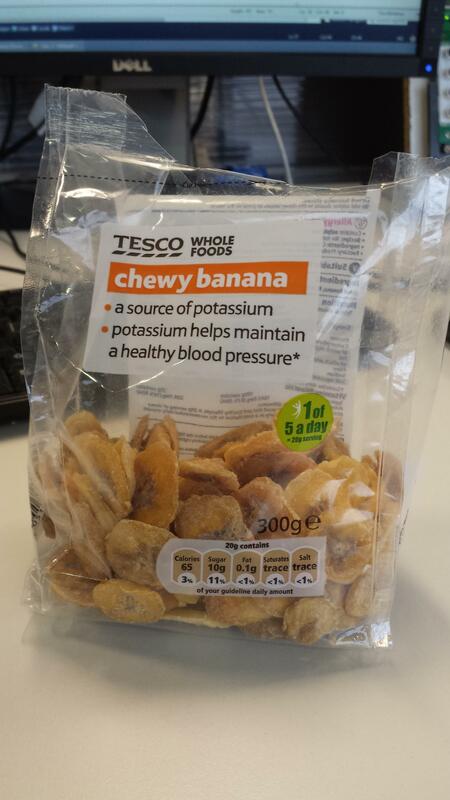 However, this pack of chewy banana says 320 per 100g. 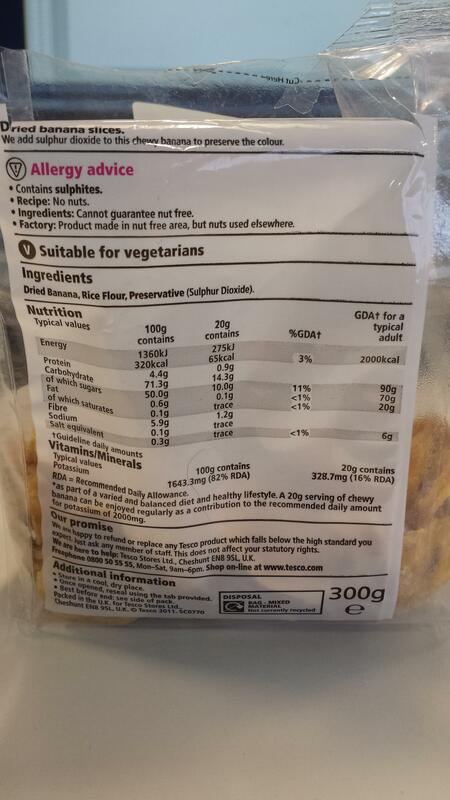 Do rice flour (which I presume is to keep the pieces from sticking) and sulphur dioxide add 3.5x the energy to a pack of dried banana? Most of the weight in fresh fruit is water, which has no calories. When you dry the fruit, the remainder is concentrated, so there are more calories in a given volume or weight. Sulfur dioxide is a preservative with anti-microbial properties. The claim of 3.6 times the energy is specious. Not the answer you're looking for? 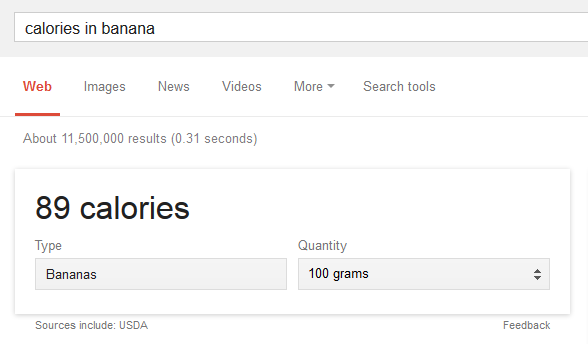 Browse other questions tagged nutrient-composition bananas calories or ask your own question. What are the differences in protein content between chicken broth and chicken stock? What provides the acid for leavening in this banana bread recipe? How to figure the calories in a boxed cake mix if applesauce is used instead of egg and oil?